This entry was posted in Peter Tuttle, Terry Smith, Trevor Marshall, Walter Orloff by terry2foot. Bookmark the permalink. Terry, thanks for sharing your tests. I’ve been executed similar tests for Sn2 and may do a some more before building my layout. One of my multi-deck concepts requires large amounts of 2% grade and tops out around 3% are the furthest reaches to/from Bigelow and Rangeley. You are right on to consider truck resistance. For Sn2, the HOn3 Blackstone trucks are a blessing, I’ve used them to convert my T&T brass Rangeley from a sled to free rolling car. The minor imperfection in look out weigh the lack of roll in the brass trucks. Similarly Sn2 has Brass trucks that do not roll well and some HOn3 trucks that do not roll as well as I would have hopped. The HOn3 Blackstone trucks roll tremendously but do not look right under the cars. Most recently, I’ve been testing Shapeways printed trucks, converted HO tichy trucks (with shapeways printed bolsters) to determine if they are acceptable. My Sn2 WW&F #7 can pull about 17 cars on the level with a mix of trucks but with pull trucks it can only pull 3 cars up a 2% grade. With lighter and better trucks it can pull a more acceptable 8 cars and my Sn2 SR&RL #7 (equivalent to your #6) pulled about 6 cars. Your #18 seems disappointing in my eyes. I would hope that a 2-6-2 could pull 1/2 again more cars than a 2-4-4. So I’d be looking for 10-12 cars on a 2% grade. 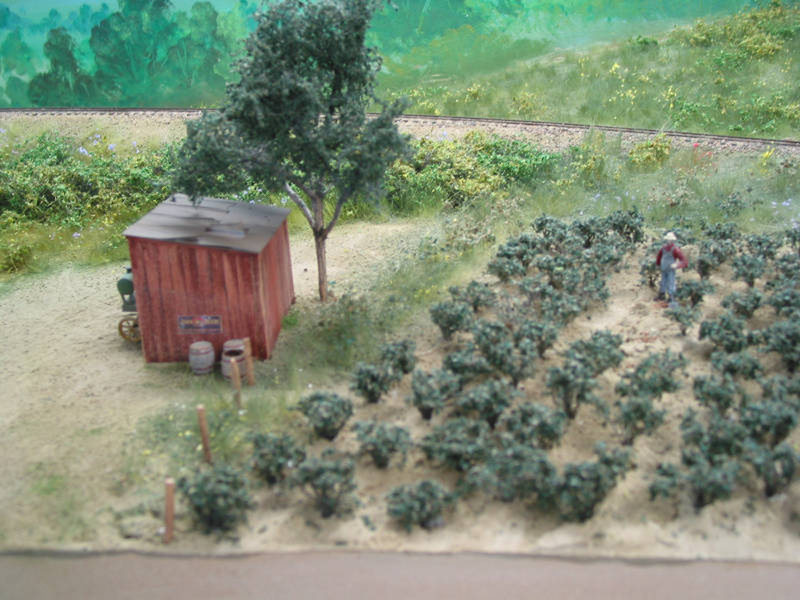 In my dreams, I want my model railroad to haul trains that seem worthy of operating. As on operator, it seems goofy to be pull trains of 2 freight cars and a caboose. One concern I have with setting grades too high is the wear on the locomotives. Driver slip will wear off the nickel plating. Stiff down grades might put wear on gear boxes and mechanisms. I’d have some 200 feet of mainline at 2% grade. Sorry for the long comment, but I thought your readers might like to understand one modelers thought process on grades. At this time, I’m trying to decide if I should build a full SR&RL with significant grades or limit my railroad and only have a single deck. PS. John Roger’s On2 SR&RL layout was multi-deck and had grades up to 4% (I think). I operated it once, it seemed OK. I’d think your readers might find his efforts of interest. I think he posted about that on the On2 list (or one of the maine 2-foot modeling lists). His layout is no more. First off thanks for replying. 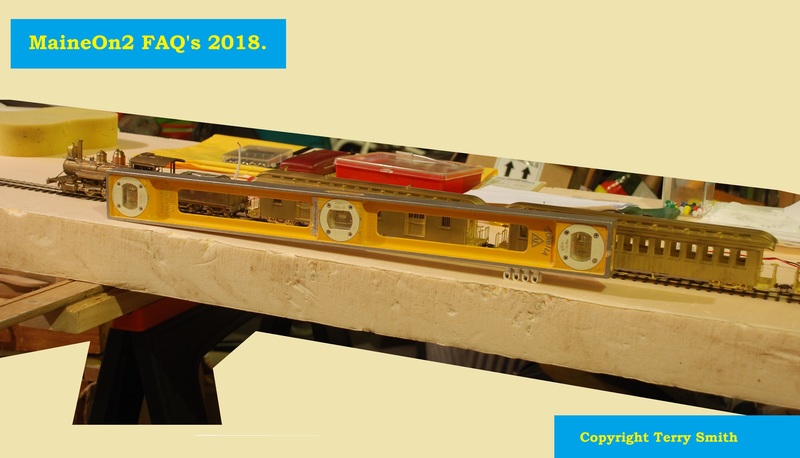 Regarding On2 trucks used on the grade tests, then I would advise that wherever possible I will use freight cars equipped with Grandt Line trucks and fitted with NWSL wheels. This represents, as far as I know, the de-facto standard for On2 and the use of any other trucks in the mix would add an extra uncontrolled variable to the tests. On2 Brass trucks typically have higher friction than the Grandt Line freight trucks by a factor of around +50%, but the Custom Brass tender trucks fitted to the #18 tender are particularly poor at around three times the Grandt Line levels. This has a very severe impact on the grade test performance. I believe that you are right to be concerned with setting grades too high on your proposed dream layout for a number of reasons. As a former professional engineer involved with the field of power transmission (gearboxes), I would be more concerned with the amount of wear that occurs when the transmission is heavily loaded pulling uphill, rather than the much lighter loads that will occur going downhill. However, I do recognise that some model railroaders may see the possible bucking of a lightly loaded loco going downhill as a problem. 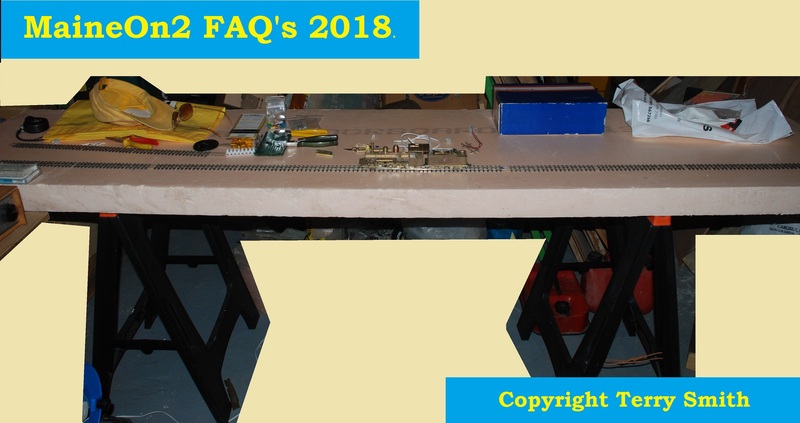 Two of the FAQ editors remember a number of threads and conversations with John Rogers on the Maine On2 Yahoo group board about the supposedly poor quality and limited lifetimes of gearboxes in On2 loco’s. John was sufficiently mechanically skilled with a good enough workshop to cope with the maintenance demands of running heavy trains up and down 4% grades in On2. I suspect that most Maine On2 enthusiasts would happily settle for lower grades with lower maintenance demands. Details of John’s layout and his various conversations can be found on the Maine On2 Yahoo group message board with further entries in the both the photo and file sections. Note that John’s layout was one of the last topics/albums posted to the original Photo FAQ’s on Fotopic before that site went belly up without notice. It was unfortunate that the backup copy that was eventually made available, was from an earlier date and did not contain John’s layout, so all the original work was lost. Regarding your view of the performance of my SR&RL #18, I was rather pleased with its performance, as it out pulled my SR&RL #6, which has added lead in the boiler directly over the driving wheels. 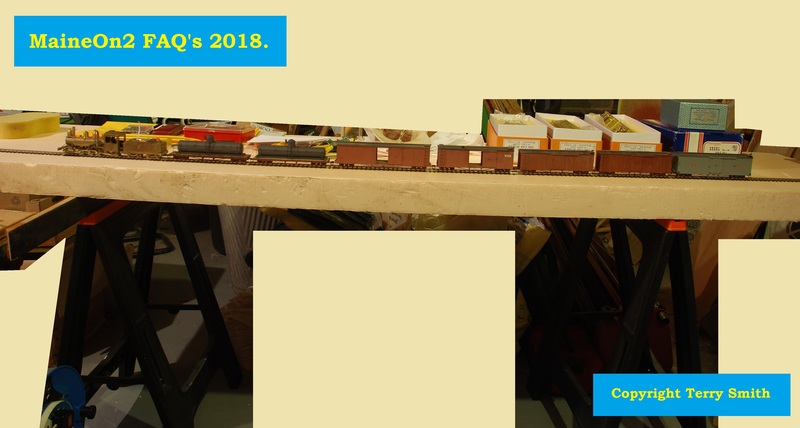 My recent focus in this field has been to try to improve the performance and pulling power of the smaller 0-4-4 Forney’s in my collection, such as the Putnam & Stowe SR #1, the Portland Products F&M #1 and the Custom Brass SR&RL #6, so that they can reliably pull realistic trains. I think that the recent tests demonstrate that my modified SR&RL #6 now has pretty good performance and pulling power, but that is just my personal opinion. I will acknowledge that the previously published pulling power of my Car Works B&SR #7, now looks weak by comparison, but that is of little concern to me as the techniques that I have used to improve my SR&RL #6 can be used on any engine. Thanks for the lengthy reply. 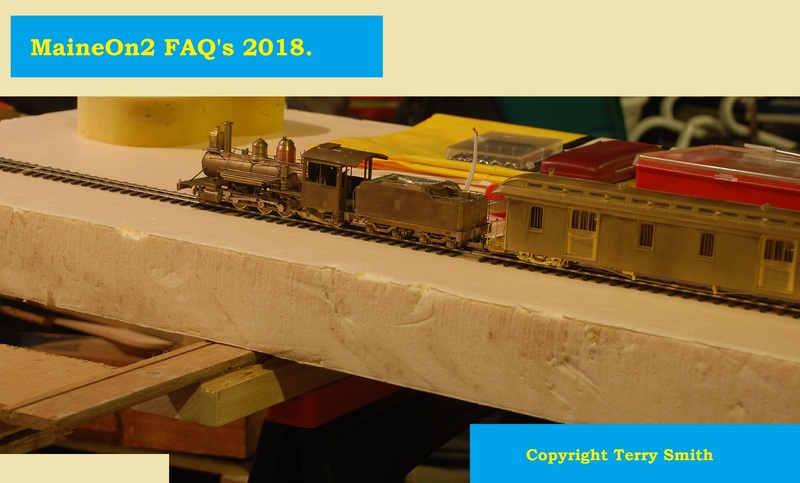 I agree that your #6 improvements are very positive and if you can apply them across your fleet of locos, including #18 you’ll be happy and achieved your On2 Master Mechanic certificate. A DCC decoder with back emf turned on, might not slip at all. Any future progress toward my Sn2 dreams will be posted at http://www.sn2modeler.com.